본 연구는 MCN 내에서 집행되는 브랜디드 엔터테인먼트의 콘텐츠 특성과 크리에이터 매력성이 소비자 평가에 미치는 영향을 분석하였다. 연구를 위해 뷰티 크리에이터의 브랜디드 콘텐츠를 시청한 후 설문지에 응답하는 방식으로 진행되었으며 콘텐츠 노블티, 크리에이터 매력성(신체적, 사회적, 전문적 매력)을 독립변인으로, 콘텐츠 태도, 공유 의도, 구매 의도를 종속변인으로 설정하였다. 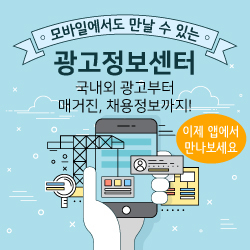 연구 결과, 콘텐츠 노블티와 크리에이터 매력은 콘텐츠 태도, 공유 의도, 구매 의도에 영향을 미치고 있었으며 콘텐츠 노블티와 매력성 간 상호작용이 발견되었다. 즉, 콘텐츠에 대한 새로움과 크리에이터의 매력이 높을수록 콘텐츠에 대한 소비자 평가가높아지고 콘텐츠 노블티와 크리에이터 매력성이 상호작용을 하여 종속변인에 영향을 미치고 있는 것을 알수 있었다. 본 결과는 MCN과 브랜디드 엔터테인먼트에 대한 학문적 의의를 제공하고 있으며 브랜디드 엔터테인먼트 집행에 있어 실무적 시사점도 제공하고 있다. Branded entertainment is a typical new generation of advertisement. This study aims to examine the contents effect and creator effect of branded entertainment conducted by MCN (Multi Channel Network). The study aims to examine the influence of contents novelty and attractiveness of creator to consumer evaluation. Contents novelty and creator attractiveness (social, physical, professional attractiveness) were set as independent variables, and contents attitude, purchase intention and sharing intentions were set as dependent variables. As the result, Content novelty, Creator attractiveness had major effect for dependent variables, and there was interaction among content novelty and attractiveness. In other words, the higher contents novelty and creator attractiveness is , the higher the consumer evaluation is, and the interaction between contents novelty and creator attractiveness influence the independent variables. This study is academically meaningful as the current studies regarding MCN and branded entertainment are insufficient, and it provides primary issue as it conducted study by distinguishing contents effect and creator effect. Also, it classified attractiveness to specifically induce the creator effect. The study will be able to contribute to understanding needs of consumers in creating branded entertainment contents in actual business. 위 자료는 한국PR학회 가 저작권을 관리하고 있습니다.